Mothers, sisters, wives, fiancées, girlfriends…. No doubt that women play an enormous role in our everyday life. The mother who gave us our lives and taking care after us throughout her life, the sister with whom we are growing up together, the wives who are taking care after the whole family while balancing between them and their career…needless to say that they are very well deserved to be celebrated. There is one day every year where we can officially show our respect to these women expressing them how much we care about them too. 8th March is a day when everything is about women. 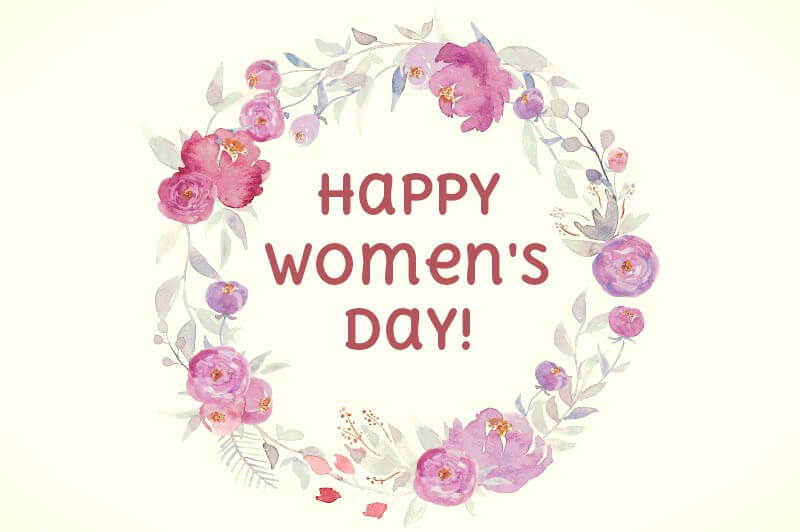 On the International Women’s Day, we not only celebrate our female relatives and friends but all the idea behind as such women’s rights, women’s history, and their achievements to have gained equal positions and rights in life as men have. How to celebrate Women’s Day? Gentlemen, there are many ways to celebrate this holiday with your beloved ones, but all of them have one common goal; to express your deepest honor to your lady how much you appreciate her everyday effort on managing your family life (maybe including kids as well), doing the housework, making dinners whilst doing well on her career life, too. In everyday life the expression “thank you” should be very often said by men to their ladies, as none of the activities above should be taken for granted. Sometimes these two little words are enough to a woman’s soul as a proof that she is appreciated. But you can add more; a bunch of flowers, dinner invitations, tiny surprises, and when the Women’s Day is coming you could give even more, something really special, something really extraordinary. Let us recommend you any of our event and cruise ships dinner night out for 8th March to treat your lady as she deserves for the occasion of Women’s Day. How can you do it? Book a dinner for two to any of our event and cruise ships. How will it look like? You two are having a dinner in a magnificent atmosphere on board, where besides the delicious meals and fine drinks, you can also enjoy the sights of Budapest from a river view perspective. Budapest by night is so fabulous with its nicely lit buildings and experiencing it from the river Danube from a moving ship is even more adorable. Imagine this scene in your head; this is a perfect background to your happy women’s day celebration, isn’t it? Then do not hesitate. Book a dinner night out with us and wish a Happy Women’s Day to your gorgeous lady at an extraordinary spot. For more details please visit our river dinner cruises and pick one, so you can join us for an exclusive, 4-course dinner which will definitely impress your lady.